Werner Sauer Oral Design offers a free, no obligation consultation to assess your aesthetic goals. Due to our experience in a wide range of restorations, we are able to evaluate your situation and offer advice on what results are achievable. Backed by a large library of completed cases, we are sure to have a similar case to show you what is possible. 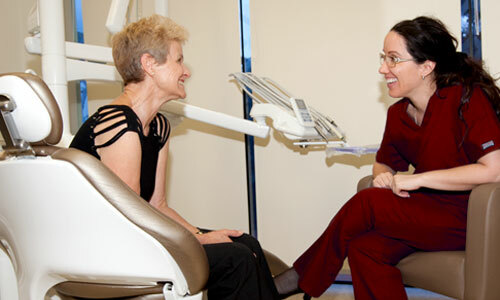 We can also recommend a Dentist that is suited to your circumstances for a clinical evaluation and treatment planning. You attend the Dentist practice for a clinical assessment. The Dentist will take x-rays and discuss with you if there are any clinical issues before making a plan for your cosmetic restorations. Impressions will be taken at this point, for either a wax up or a mockup. A model is poured from the impressions in the lab and the teeth are waxed over the top of this model to create the ideal proportions for your new smile. This is then used to create the provisionals, or if you prefer an indication of what you smile will look like, a mockup as well. A mockup is where the Dentist will reproduce the waxed up smile over the top of your unprepared teeth, giving you an indication of how your new smile might look. It is not 100% accurate, because if tooth preparation is required to create the ideal angles for the new teeth, it will not take that into account. Depending upon how much tooth preparation would be required will determine whether of not a mockup is suitable for your situation. 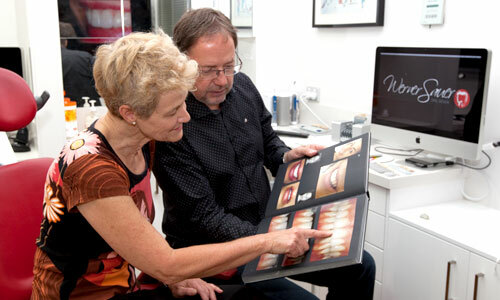 Patients where minimal tooth preparation is required are most suited to having a mockup done. 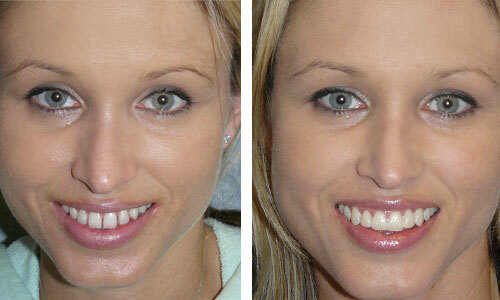 A mockup can sometimes be a useful tool for a patient to decide whether or not to go ahead with the smile makeover. Upon acceptance of the treatment, the Dentist will prepare your teeth (if required), take further impressions and temporise your smile. If you did not already have a colour match at the Laboratory, you will need another appointment for this. The restorations are created in the laboratory and sent to the Dental Practice for your insertion appointment. Dentist will bond the teeth to your prepared (if required) teeth and your new smile is complete! NOTE: This describes the circumstances in a straightforward cosmetic case, without any underlying clinical issues or further treatment required. Some cases will be more complicated than this and require additional treatment steps. You should be guided by the treating Dental Practitioner as to what is required in your circumstances.